I had kale from the farmers market and was short on time, so this is what I came up with. It came out good enough to write a recipe for. 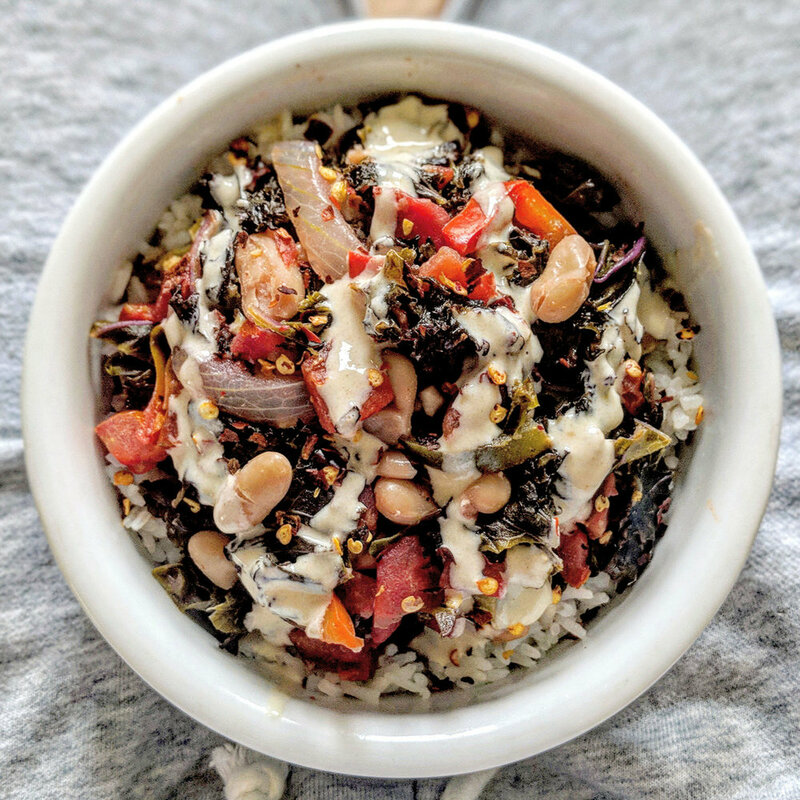 I finished it with a super easy tahini sauce. Serve over rice, quinoa or roasted potatoes. 1 bunch of kale, washed, trimmed and cut into bite size pieces. Heat large pan on medium, add oil, add peppers, onions, garlic, a pinch of salt and saute for 3 minutes. Stir frequently so garlic doesn't burn. Add kale, a pinch of salt, turn heat to medium low, cover and cook for 7 minutes. Add 3/4 tsp salt, smoked paprika, black pepper, fire roasted tomatoes and cannellini beans. Simmer on low for 10 minutes. Turn off heat and add fresh basil if desired.